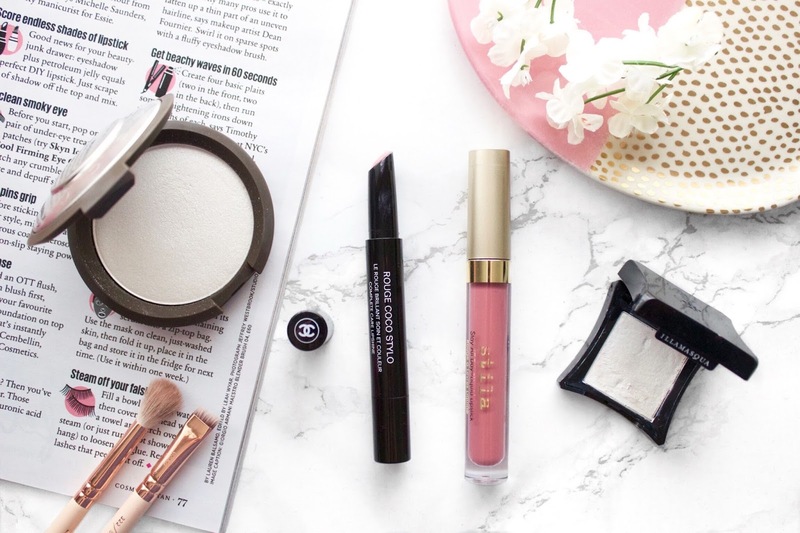 So this post was originally meant to go up a few days ago but as my life was so busy during April I just couldn’t find the time to even think about blogging, so here we are with my delayed April favourites post with a pimped up name to make it sound as if I’m not such a crappy blogger! I’m so glad that I’ve got a calmer May with plenty of time for blogging and then I’m going away for a couple of days at the end of the month which I can’t wait for. Anyway back to todays post, here are some of my current favourites. 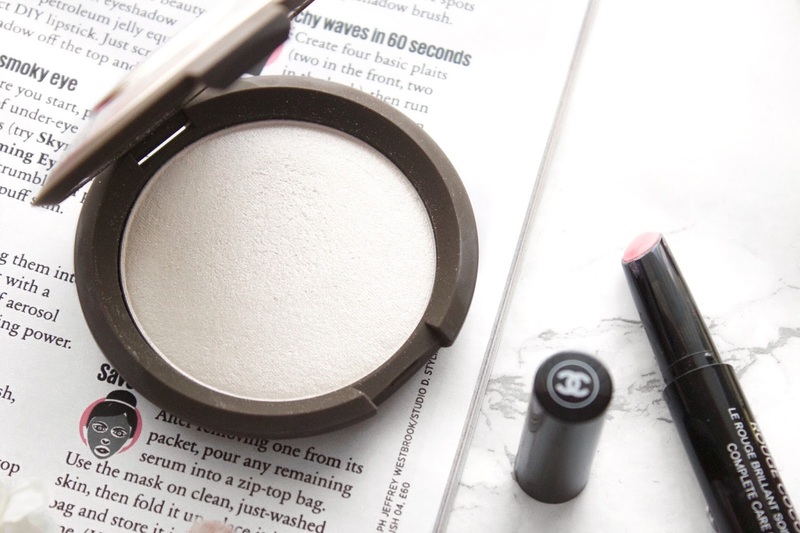 The product that’s certainly been the biggest standout recently has to be the Becca Shimmering Skin Perfector in Pearl. Now this highlighter has been on my wishlist for what’s felt like forever and every time I heard people rave about it I wanted it even more, so when I had a Space NK voucher I decided it was time I finally caved in and bought it. It really does live up to the hype, it’s the perfect frosted white with a pearlescent sheen that can be easily built from ‘natural glow from within’ up to ‘put your sunglasses on girl cos we’re glowing’ and I freaking love it. Another highend rather splurgy item I’ve been loving is the Chanel Rouge Coco Stylo in Conte, a rosy pink pen style lipstick. I’ve been waiting for these to be released in the UK for a couple of months now so the minute they hit the Chanel counter I picked one up. The formula is on the sheer side, it’s certainly more of a tinted lip balm than a lipstick but I find it such an easy to wear everyday colour that’s perfect for Spring. From a more glossier lipstick to the other end of the scale with a matte one. As me and matte liquid lipsticks don’t tend to get on, I don’t actually own that many so I though it was finally time to try some more on the quest for the perfect formula. One that I kept hearing about was the Stila Liquid Lipstick in Patina so I obviously caved in and bought it. Patina is a dusty rose that does lean on the darker side on my super pale skin, but it’s still a really wearable colour. The formula isn’t too drying and it lasts really well on the lips, although it’s still early days I’m really loving this so far. Last but not least has been a product that’s been in my kit for a while but one I always seem to forget about, the Illamasqua Skin Base Concealer in White Light – no the picture isn’t just overly brightened the concealer really is white… even on my ghostly skin! Whilst you do need to approach this with some caution, it’s the perfect undereye brightener that I like to use under my regular concealer. I find it’s best applied lightly with a damp Beauty Blender and it just gives a more awake/less zombie like look to the eyes. So those are some of the products I’ve been loving lately, what are some of your current favourites?